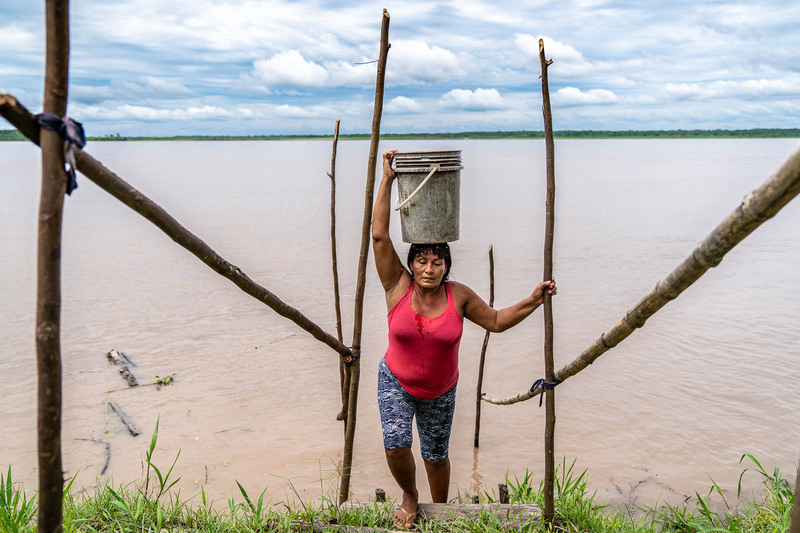 Loyda Macuyama Fasabi in Gallito on the Amazon River getting water. "I usually start getting water from the river at 5am. I get tired getting water everyday."  The bucket weighs around 20K. Just yesterday my youngest grandchild got sick with diarrhea."  About Water Mission bringing clean water to her community, she said, "We won't have to be afraid of drinking the water." Shot for Water Mission in Peru.